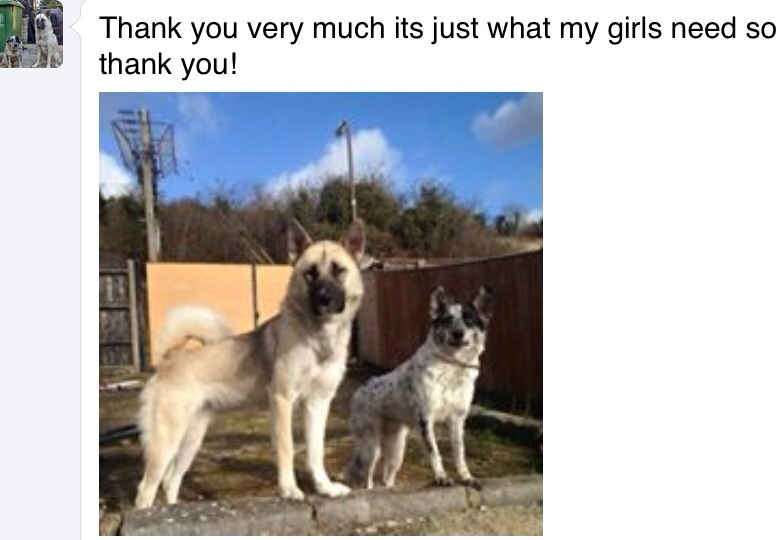 Excellent Facebook feedback, thank you we love your interaction and honesty. This is how my baby girl fell asleep! Staglers dog chews are comforting and last so long I love them. 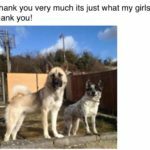 My dogs love them! Helped to stop the puppy chewing everything going and they last for ages! Fantastic work team staglers! 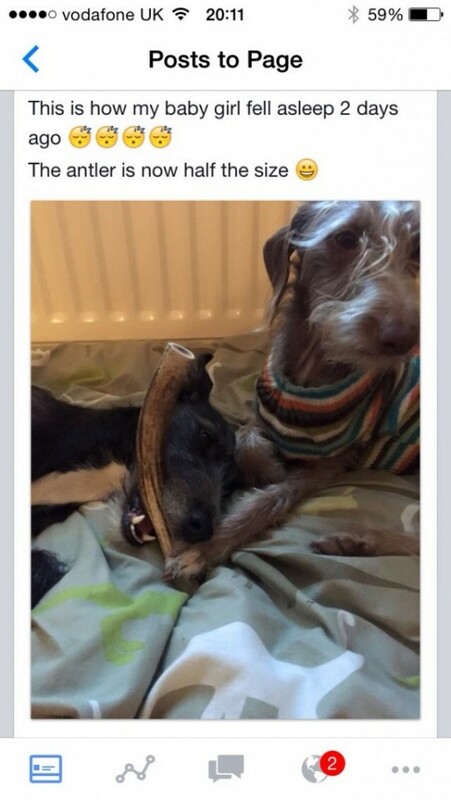 Antler is best! Rawhide may be cheaper but I realise it is false economy. 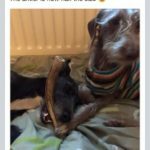 The Stagler has lasted 6 weeks and my dog’s teeth are cleaner, coat shiner and we are complete dedicated followers of Staglers! 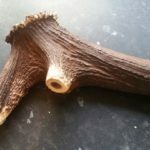 It’s Staglers Dog Chews – Peggy Chews – It was great to meet you at Woofstock on Saturday and that Peggy (our Sprollie, who you may remember) absolutely loves her chew! 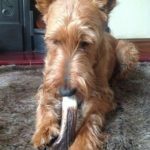 She’s either been carrying it, sleeping with it or chewing it since Saturday afternoon and it’s holding up extremely well under severe provocation! A happy girl in love with her Stagler! Finley has never had a chew last more than two hours due to his bite power, lets see how a Stagler bought at the Gillingham and Shaftesbury show today lasts him! One week down and we are into new territory! The Stagler is still going strong and has not been destroyed! 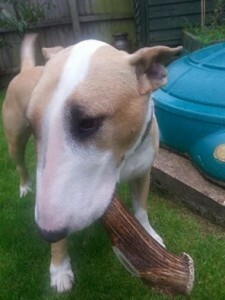 Staglers dog chews last and last, that is the official verdict of one happy customer. 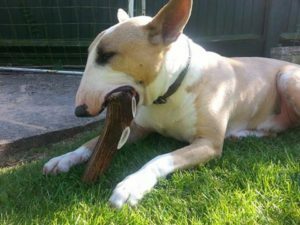 We all met at the Gillingham & Shaftesbury Show in August and the owners of Finley (An English Bullterrier) were sceptical that our dark deer antler dog chew would last very long with their lovely English bull terrier. John set them a challenge that he trusted his product to satisfy. Imagine how excited we were when they posted these photos. We are all keeping in contact on Facebook. A huge thank you for the very fast delivery. 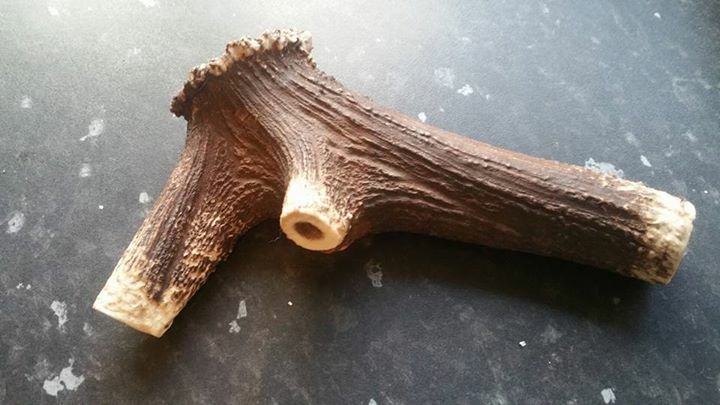 I purchased a medium sized antler after a recommendation from my fiancee. 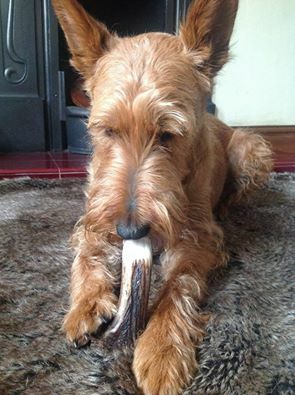 My West Highland Terrier, George was initially puzzled by the antler but after two minutes he was proudly carrying it around as if to show it off as his new possession and then settled down to some serious gnawing and chewing. Thank you, we love what we do and recommendations for lovely staglers is what we want to hear!